Andie Lam Lawyers is a young and growing law firm located in Bankstown. We specialise in immigration law, conveyancing and family law. 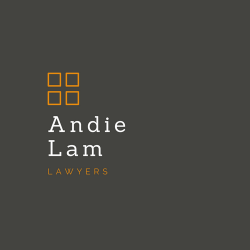 Job tasks An opportunity has become available for a Practical Legal Training Placement at Andie Lam Lawyers for 3 days: Monday, Wednesday and Thursday You will be supervised and mentored by our Principal Lawyer who is an Accredited Specialist in Immigration Law. The role includes preparation of documents and working on files for: Conveyancing Immigration Law Family law You will also be involved in liaising with clients, other parties, and banks as part of this role. You will be trained to work on conveyancing/immigration files. You will also be provided with exposure to other general practice legal matters including reception duties, administrative tasks, and file management. Skills and experience We are looking for candidates with the following skills and qualities: Fluent in Vietnamese language - written and oral communication is DESIRABLE Excellent verbal and written communication skills; Highly motivated and focused;​ Exceptional attention to detail; Excellent time management skills; High level of computer literacy and competency in legal research databases; Excellent presentation; Highly organised and ability to multitask; Ability to work in a team; Reliable, honest and responsible The PLT position is paid part time for 3 days per week. The position is available for an immediate start. After the placement, a permanent position will be available for 3 days per week. All levels will be considered, PLT, Law Graduate. To apply for this position, please submit your Cover Letter, Resume, and Academic Transcripts by email to info@andielam.com.au PLEASE DO NOT CALL OUR OFFICE ABOUT THE POSITION. ONLY SUCCESSFUL CANDIDATES WILL BE CONTACTED FOR AN INTERVIEW. TurksLegal is an award-winning, specialist law firm with 32 partners and over 160 staff across our Sydney, Melbourne and Brisbane offices. We operate in all jurisdictions in Australia. Our Melbourne office has an excellent opportunity for a motivated Graduate Lawyer to join the team on a one year rotation program through the following practice groups: Life Insurance Superannuation and Advice General insurance Commercial disputes and transactions At the conclusion of the rotation program, a permanent position may be offered in one of these practice groups. The successful candidate will need to be an energetic, driven and focused individual with strong academic achievements. At TurksLegal, you will be rewarded with genuine career prospects and an excellent team environment renowned for its collaborative culture, passion for client service and professional development opportunities. Candidates are required to hold a current practising certificate or have completed a Practical Training Course. Preference will be given to applicants who have strong academic records and previous work experience. For more information regarding our graduate program please visit our website - www.turkslegal.com.au To apply, please submit a current CV and an academic transcript. For further information please contact Elena Hristovska on (02)8257 5773 Please note only candidates shortlisted for the role will be contacted.